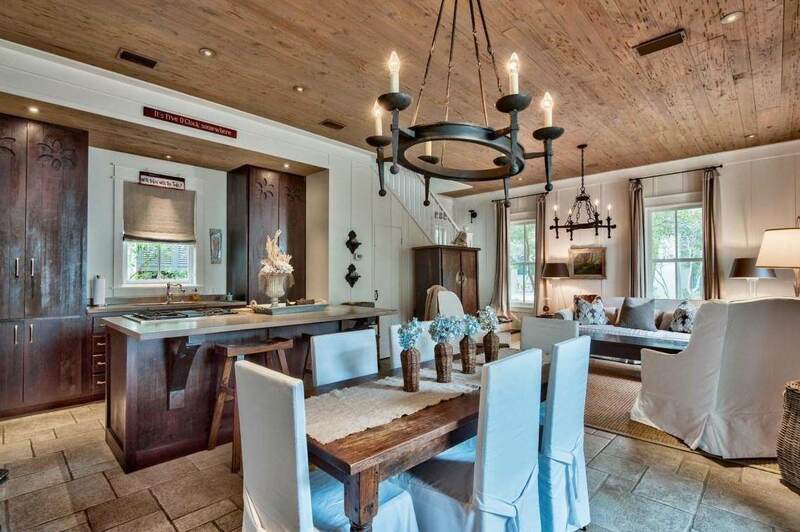 Located south of 30A in Rosemary Beach, this property proves that great things really can come in small packages. 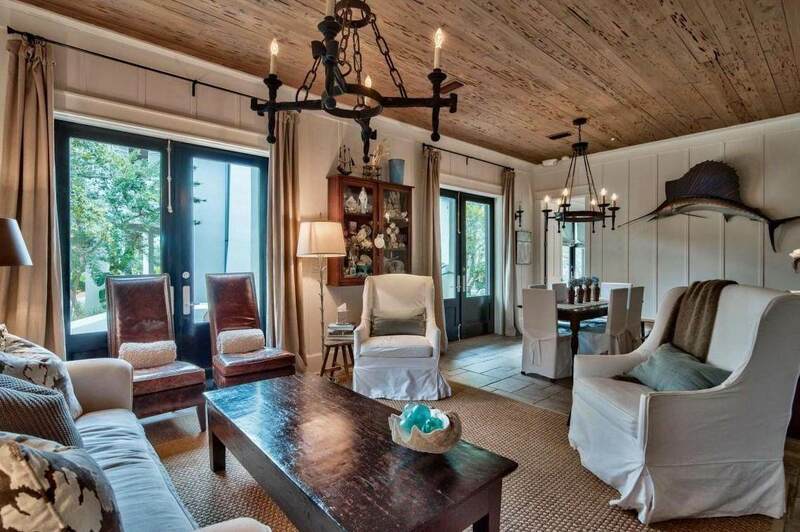 Interior design by prominent Atlanta designer Kay Douglass - and thoughtfully planned property layout ensures you're getting the most out of this beach escape. 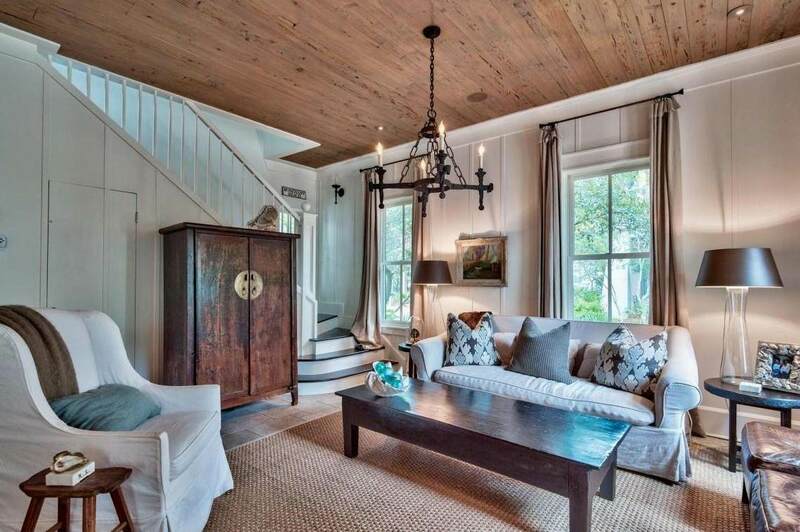 Inside the main house you'll find the downstairs framed under an impressive pecky cypress ceiling while the rustic ''beach-chic'' kitchen complements the cozy living room. The entirety of the downstairs opens up to overlook the beautifully landscaped courtyard sporting a jetted private pool. In addition to the kitchen and dining rooms, you will find a spacious master bedroom with en suite bathroom and private entrance from the courtyard. Upstairs you'll find the same pecky cypress ceiling spread throughout anda second master and guest bedroom with en suite baths. Just off the stairs lies a sitting area adjoining a bunk room with custom built in bunk beds! Across the courtyard lies the carriage house above a two car garage " a skillfully laid out floorplan allows for a King size bed, full kitchen, living room/sitting area and a breakfast nook. 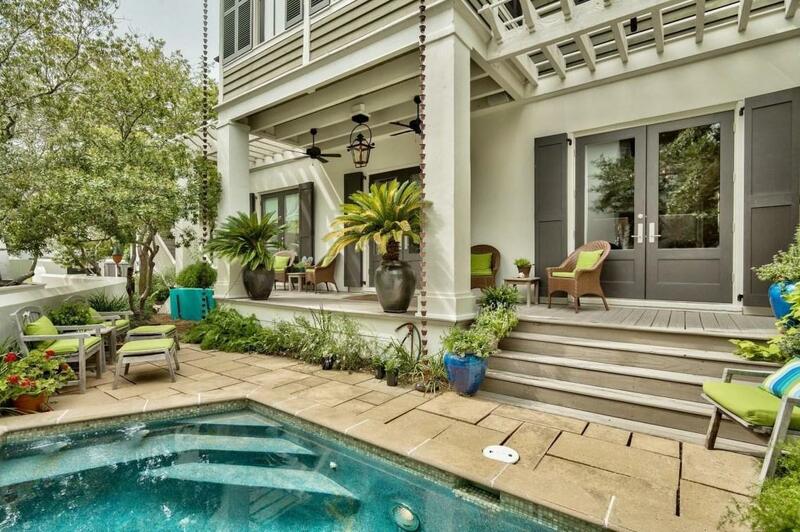 This property is a mere 500ft from the beach, 300ft to the community pool and 600ft to the Main Street offering every amenity Rosemary Beach has to offer, while never having to cross 30A. Sold fully furnished. All measurements and dimensions are estimates and buyer should verify that which they deem important.